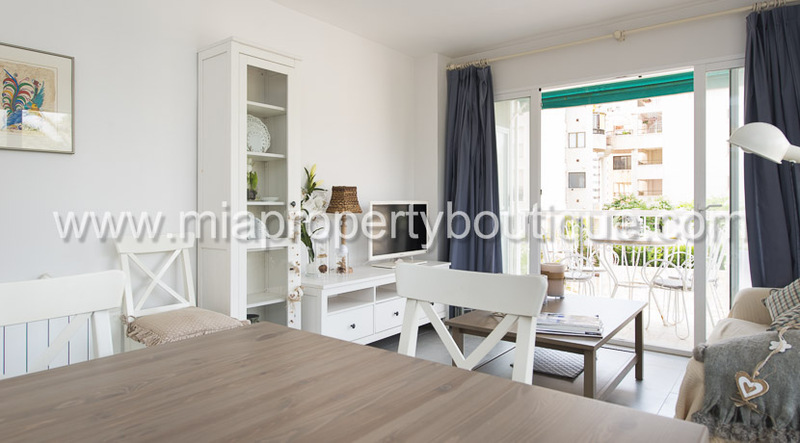 This Beautiful flat, decorated with a French air, with whites and cremas colours and in good conditions, would be your summer nest! 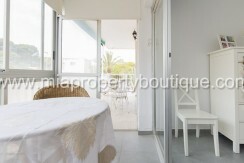 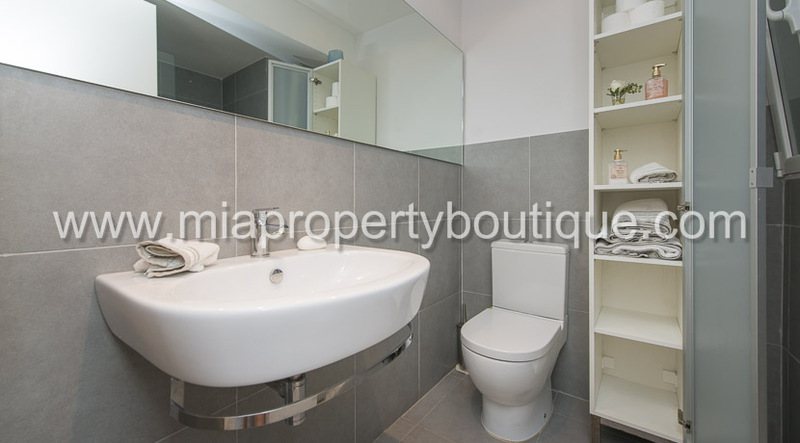 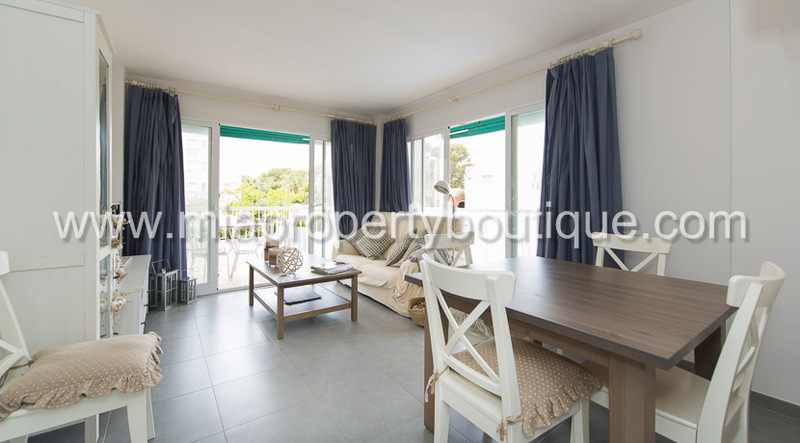 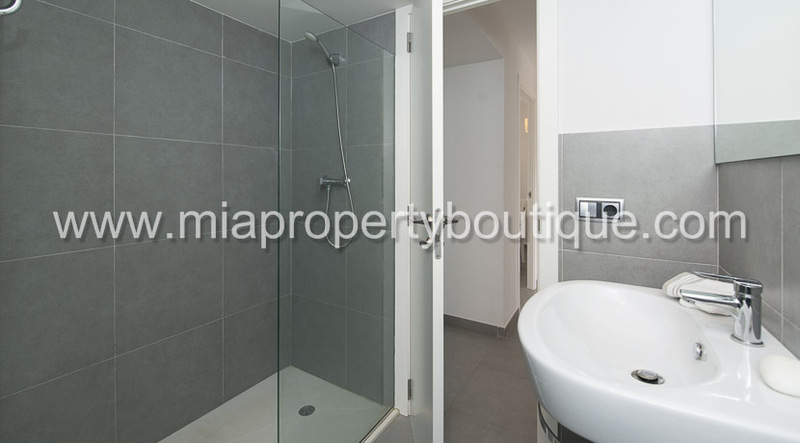 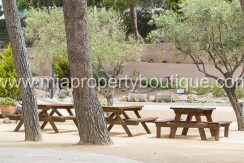 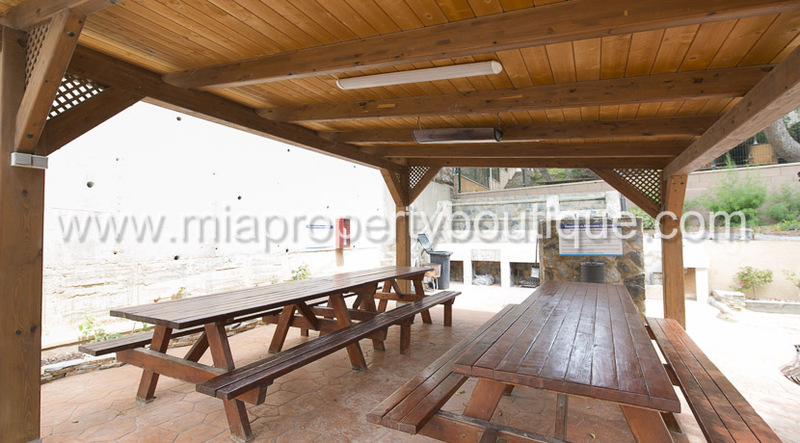 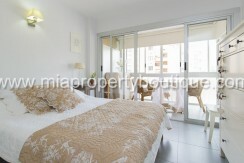 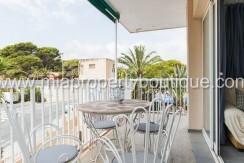 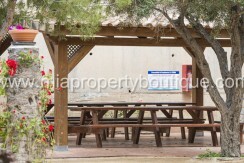 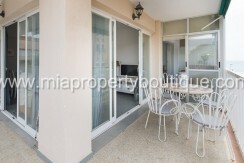 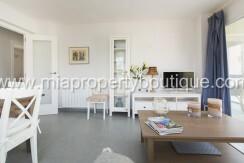 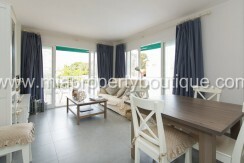 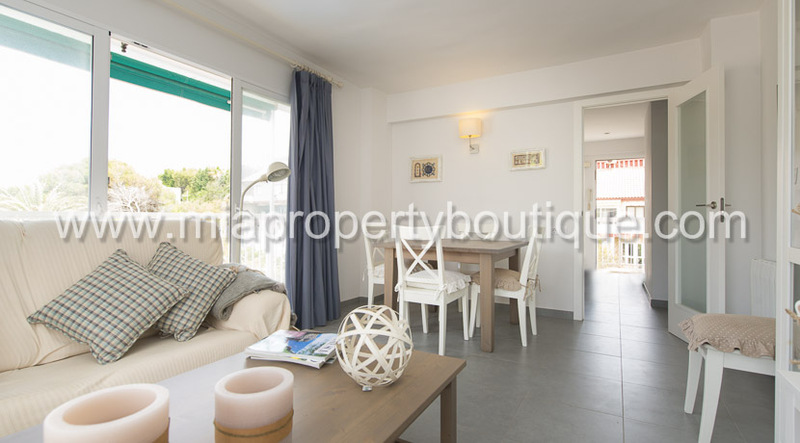 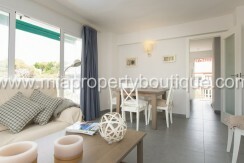 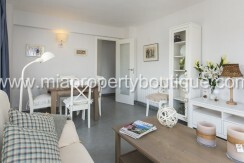 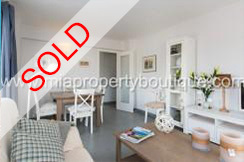 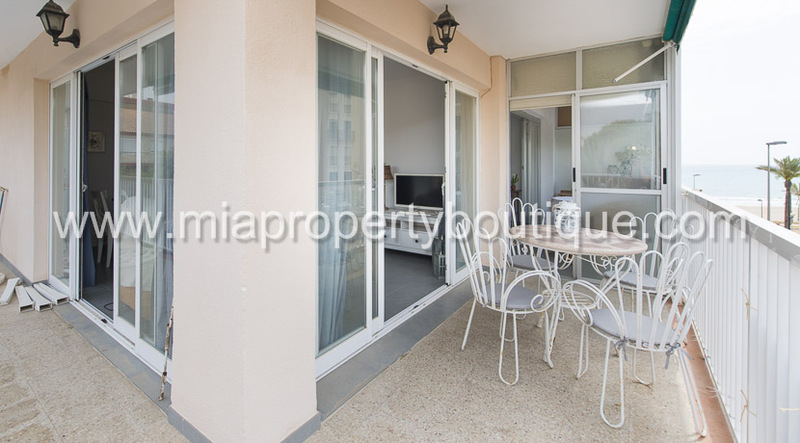 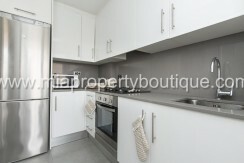 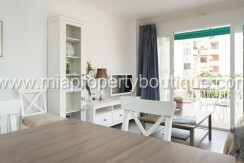 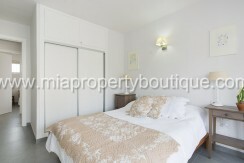 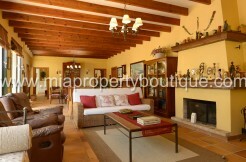 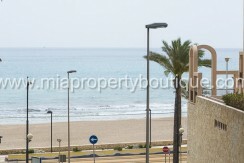 As a holiday apartment or as an investment, this flat is ready waiting for you. 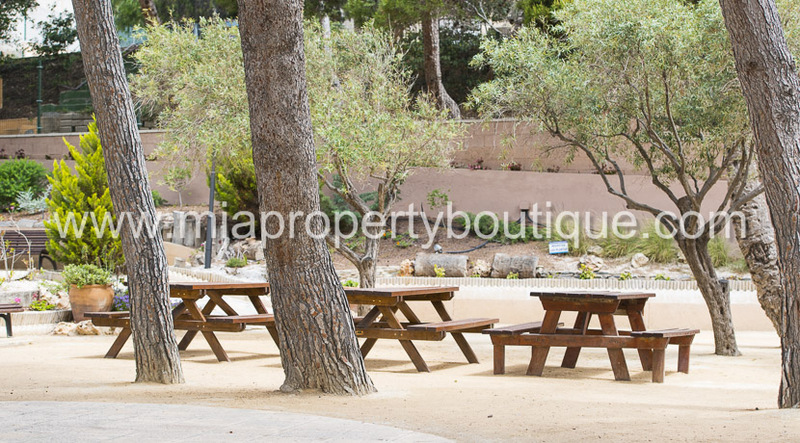 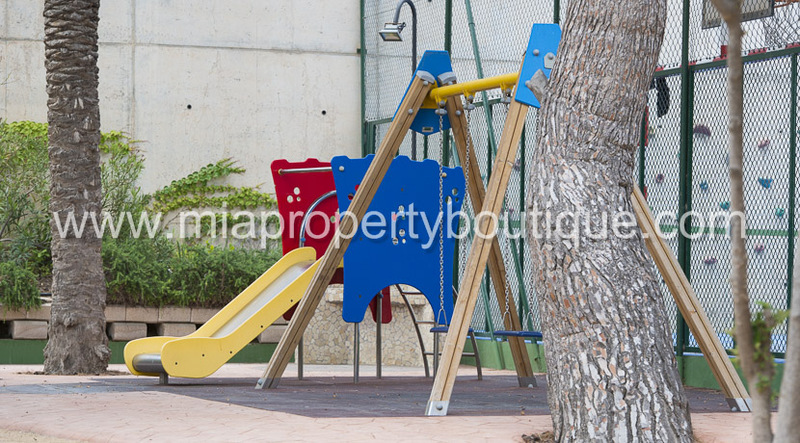 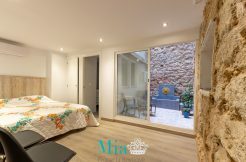 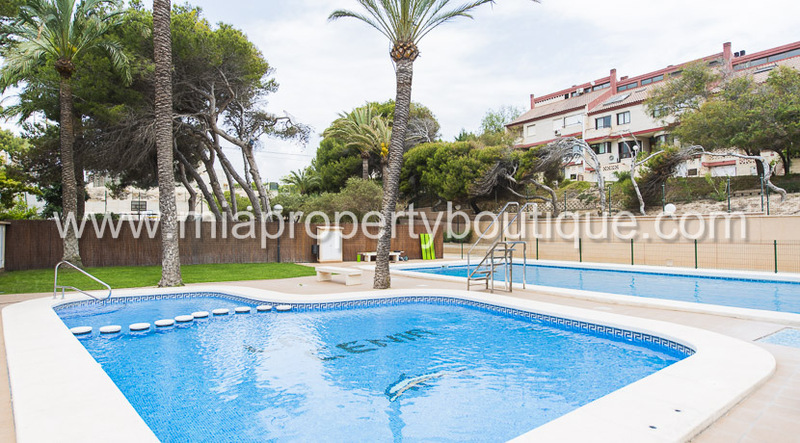 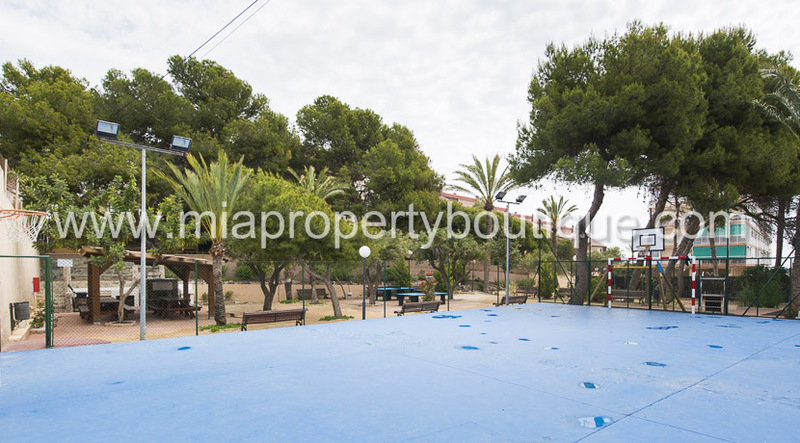 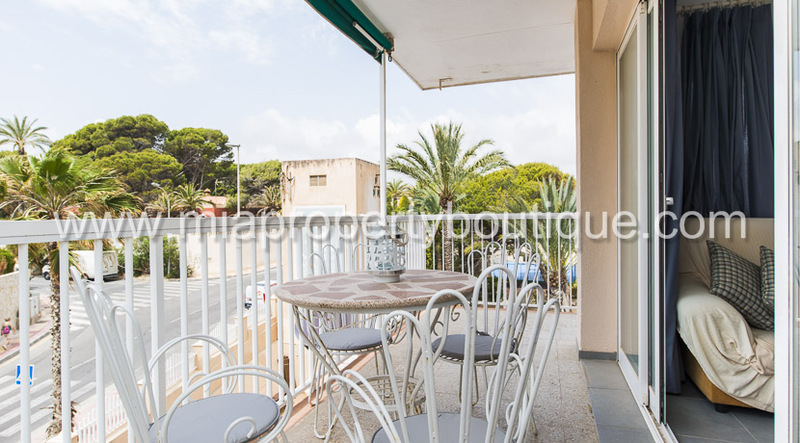 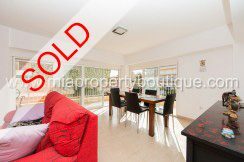 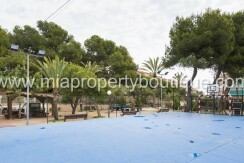 Located in a 1st line urbanisation, one step from the tram stop and the beach, within walking distance to el Liceo Frances school and Campello beach. 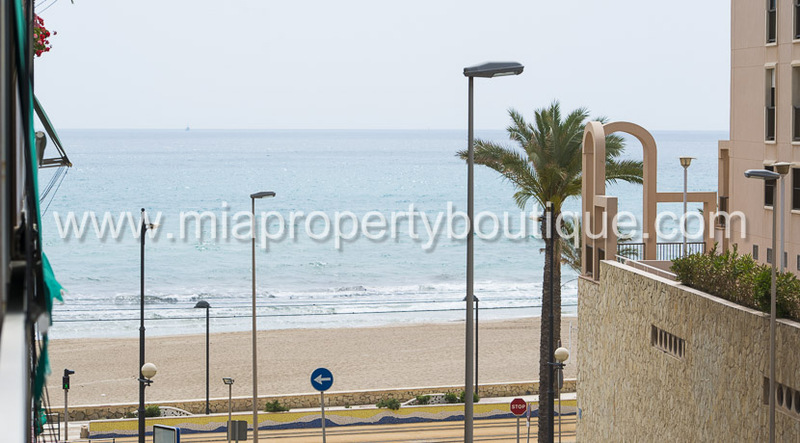 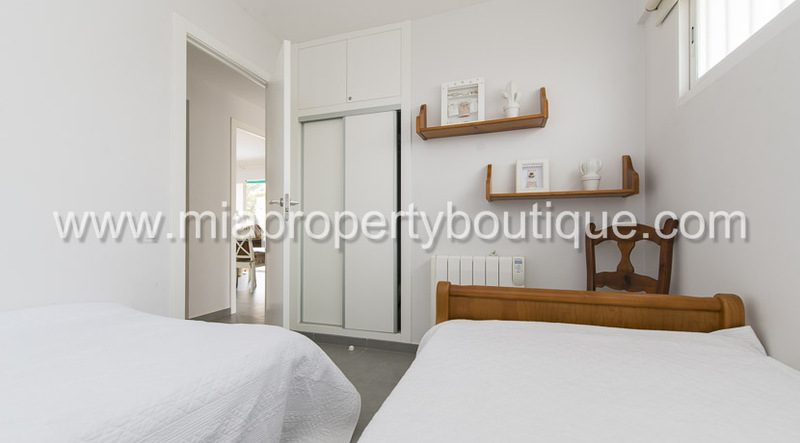 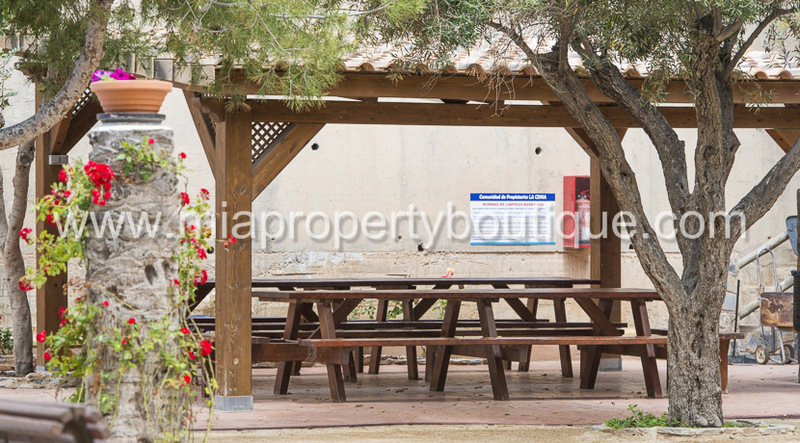 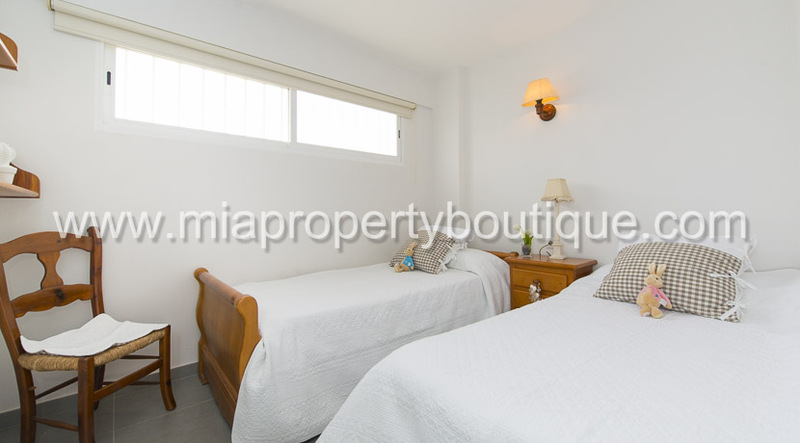 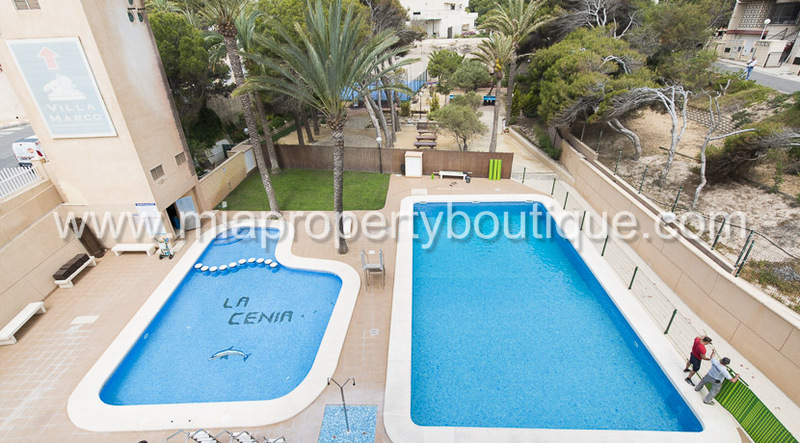 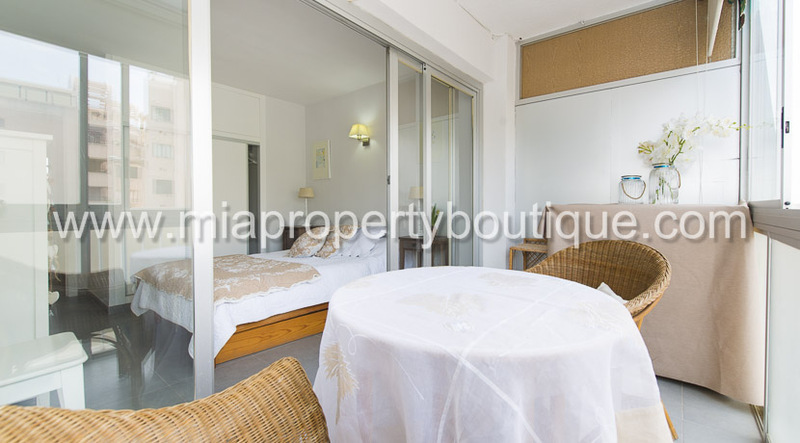 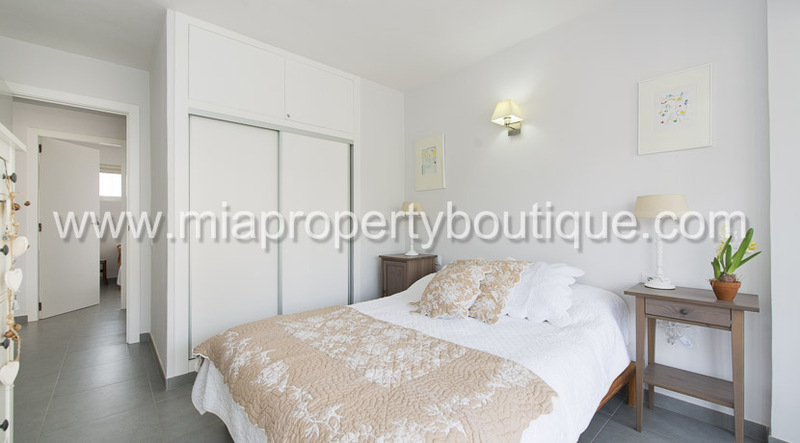 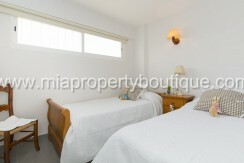 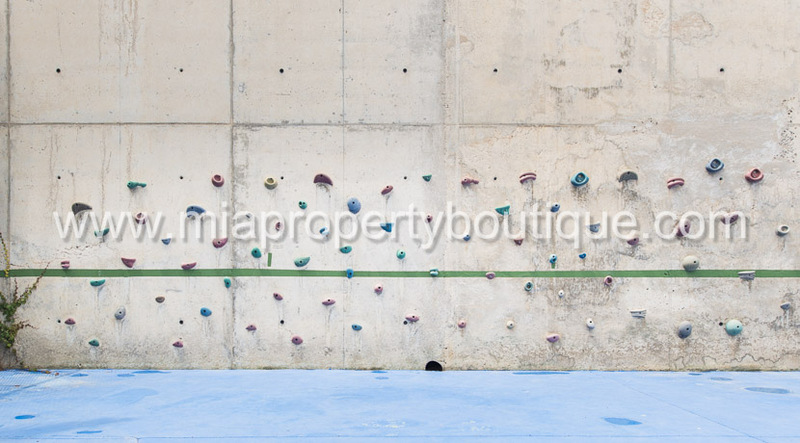 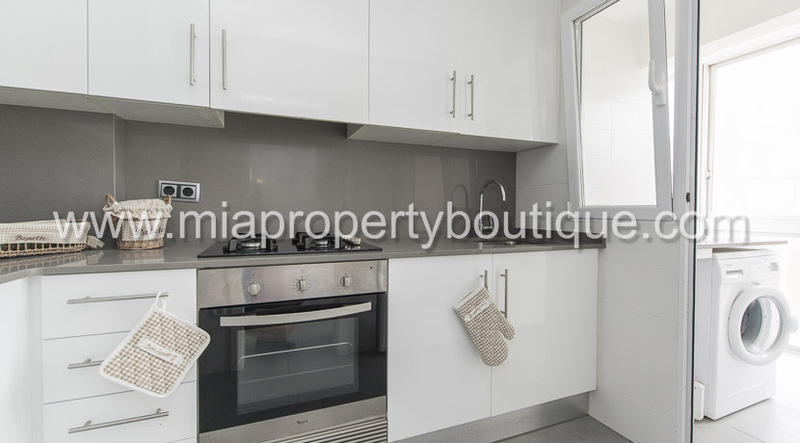 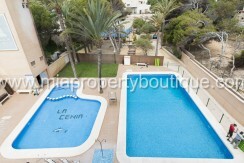 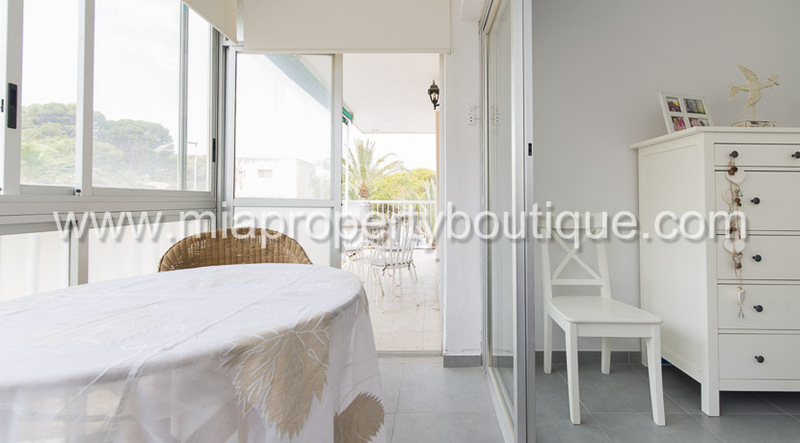 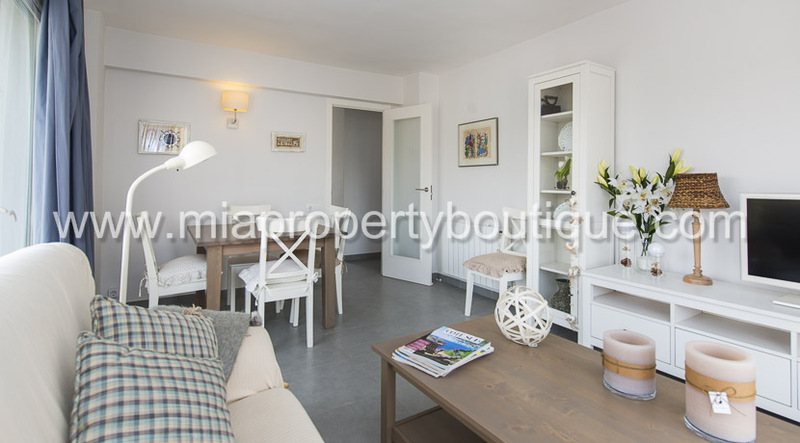 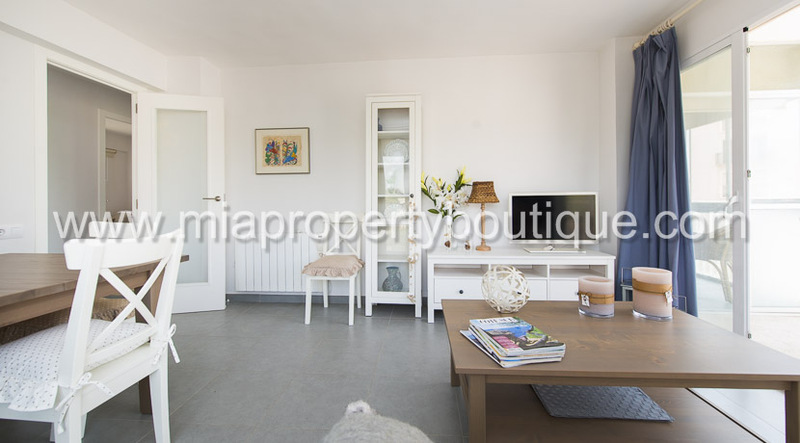 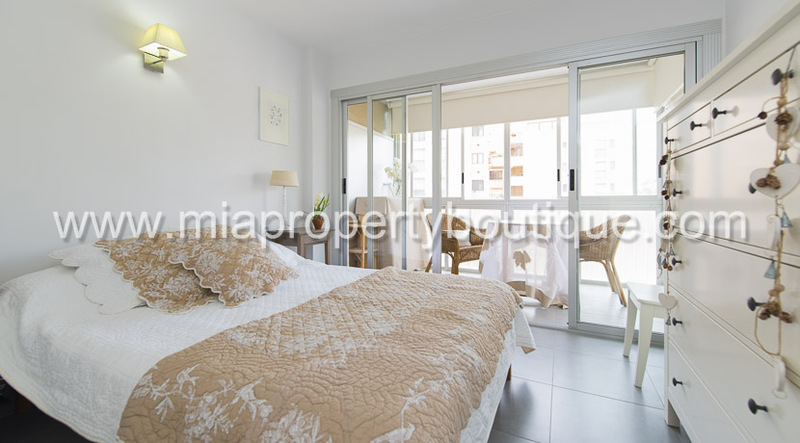 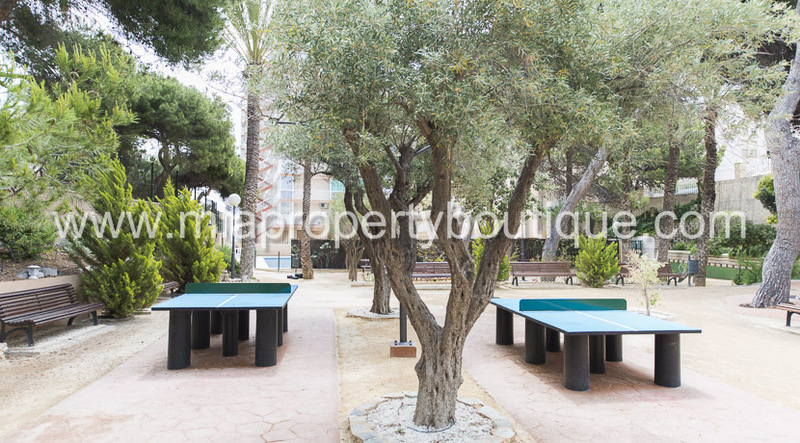 This lovely flat is 15 minutes drive to Alicante City and 5 minutes drive to Campello town. 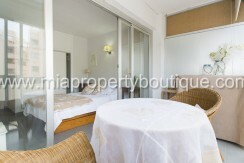 The Airport is a short 20 minute drive! 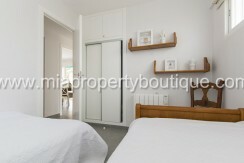 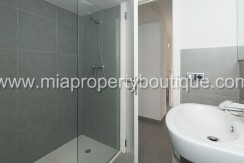 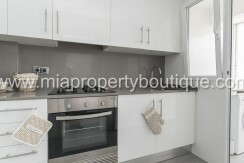 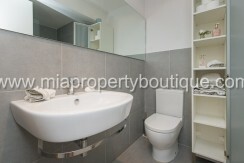 The flat consist of two double bedrooms, and one bathroom. 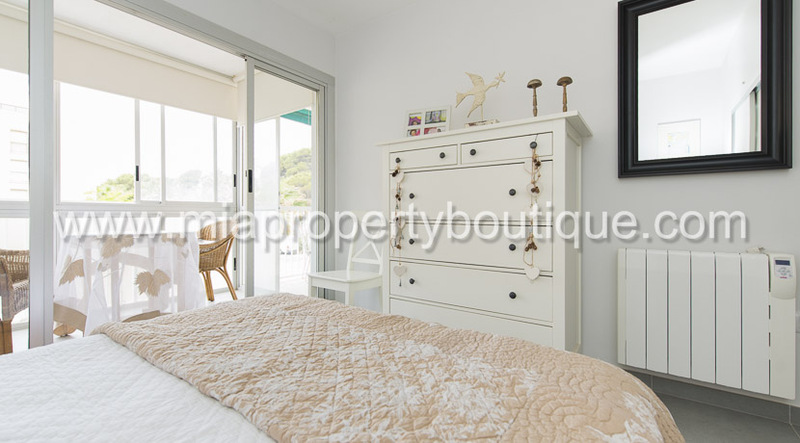 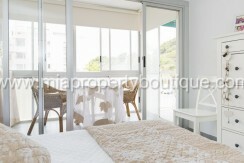 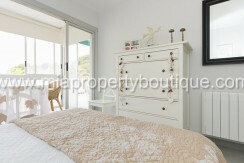 The main bedroom with its own terrace and views from the side to the sea. 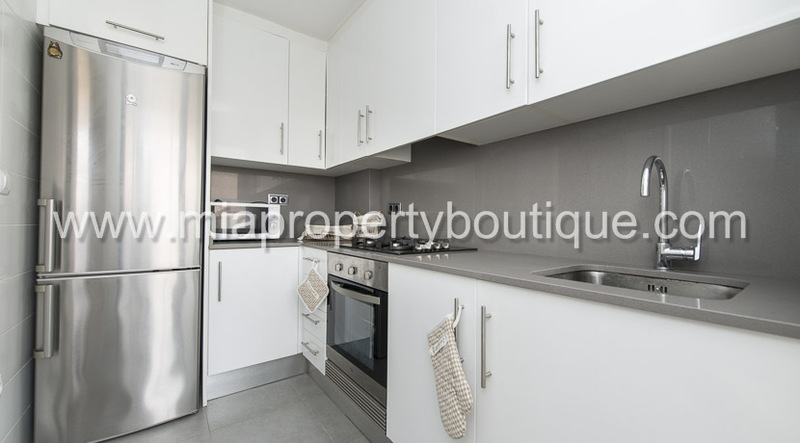 The kitchen modern and fully fitted is next to a utility room, the lounge/dinners with ceramic soft grey tiles, have access to the L shape terrace, giving the light and breeze to the flat. 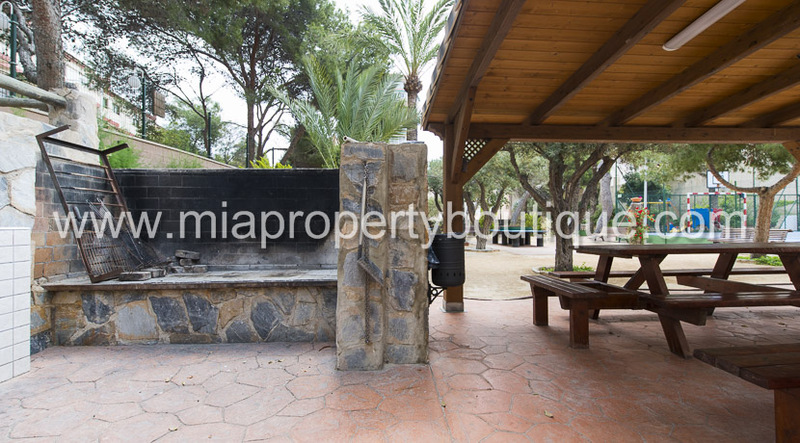 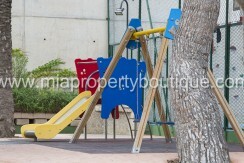 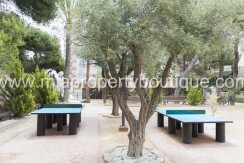 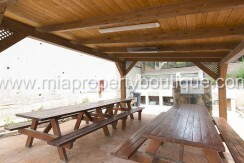 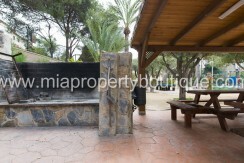 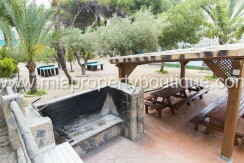 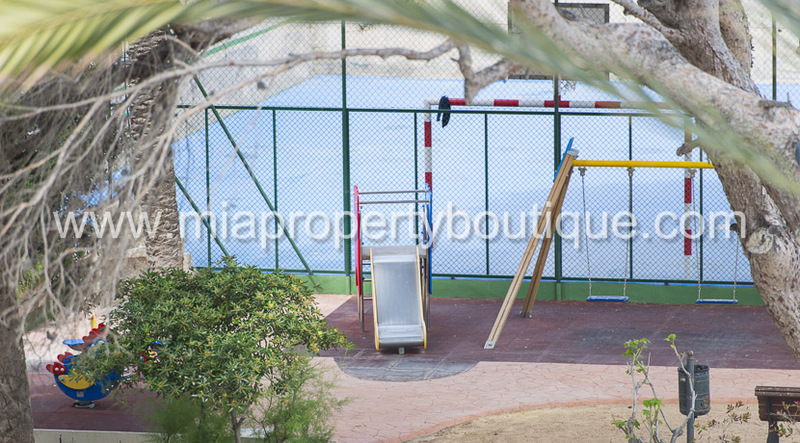 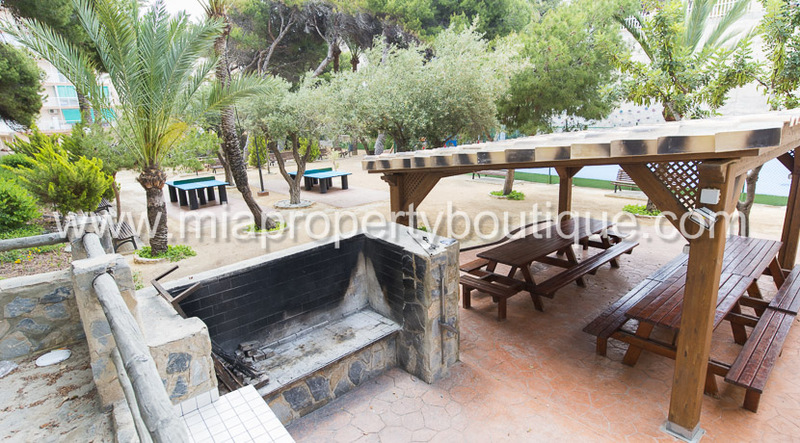 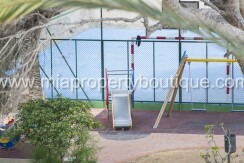 The flat is in an urbanisation that counts with a play area as well as a big swimming pool, barbecue area and gardens! 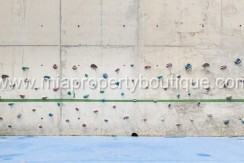 There is parking for one car.